You always want to make sure that water has an easy path away from your house. This ensures that water doesn’t remain on your property and cause problems, and drainage is the way it’s done. If your property’s drainage isn’t up to par, you might find puddles of water around your house, damage to your foundation, or a mold problem in or around the home. Don’t wait to call your contractor for drainage correction serving San Antonio if you notice any of these symptoms, and continue on for a closer look at the signs that your property needs better drainage. Unless it just rained or you have recently watered your garden, you shouldn’t see water pooling around your property. 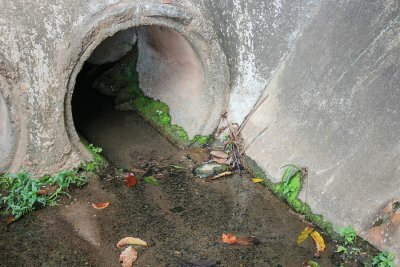 If you walk around the outside of your house and you do see visible water, you may very well have a problem with your drainage system. Rather than displacing the water to a safer location, your current drainage system is letting the water stay where it lands. This can mean bad news for your property over time and lead to a host of problems. Drainage correction seeks to improve your drainage system so you don’t get stuck dealing with these extra issues. If you notice cracks in the walls near your windows and doors or in your basement, you might be recognizing the signs of foundation damage. Foundation damage can take away from the aesthetic appeal of your home, and it can be more than a small inconvenience. People often need to call their contractors for foundation repair due to poor drainage. Without drainage correction, moisture will continue to seep into the soil and damage your foundation. A mold problem can range from a minor inconvenience to a serious health hazard, and it can stem from your improper drainage. Keep in mind that a mold problem may also start due to a plumbing leak, and a small amount of mold in the bathroom or kitchen could have come from a spill that wasn’t cleaned. The problem could be related to drainage, however, so consider drainage correction.